getcalc.com's EMI Calculator is an online finance tool to calculate how much EMI should be made for every month until the loan is completely paid-off. 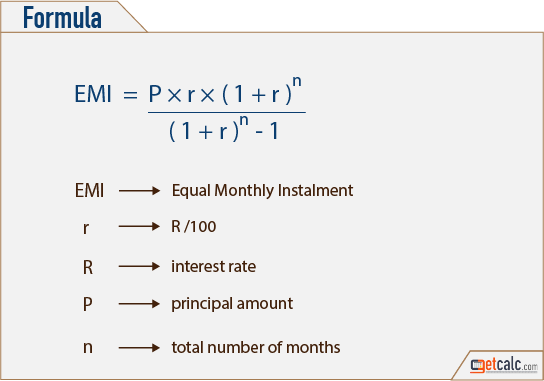 EMI is an acronym for Equal Monthly Instalment, a finance function or method used in the context of time value of money calculation, represents the monthly repayment as EMI towards a loan, which consists of partial amount of both principal and interest amount until a loan is completely paid off. It’s a fixed amount of payment for every month but the partial principal and interest amount within the EMI towards the loan gets increased and decreased respectively over the period of time.